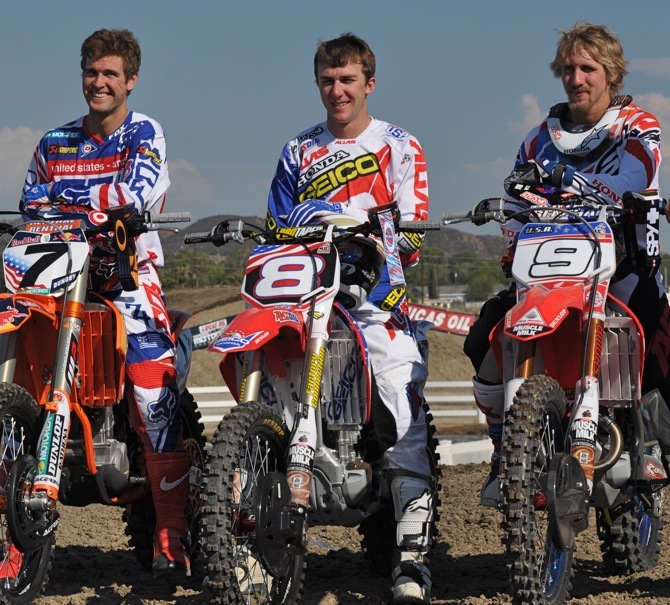 The 2013 Motocross des Nations will be held in Germany on September 29, but Team USA broke out its new gear, bike graphics and race numbers for a trial run. The American team is usually numbers 1 ,2, 3, but after finishing third last year they will be numbers 7, 8 and 9. Eli Tomac has special issue Alias gear, including a red glove on his throttle hand and blue glove on the clutch side. 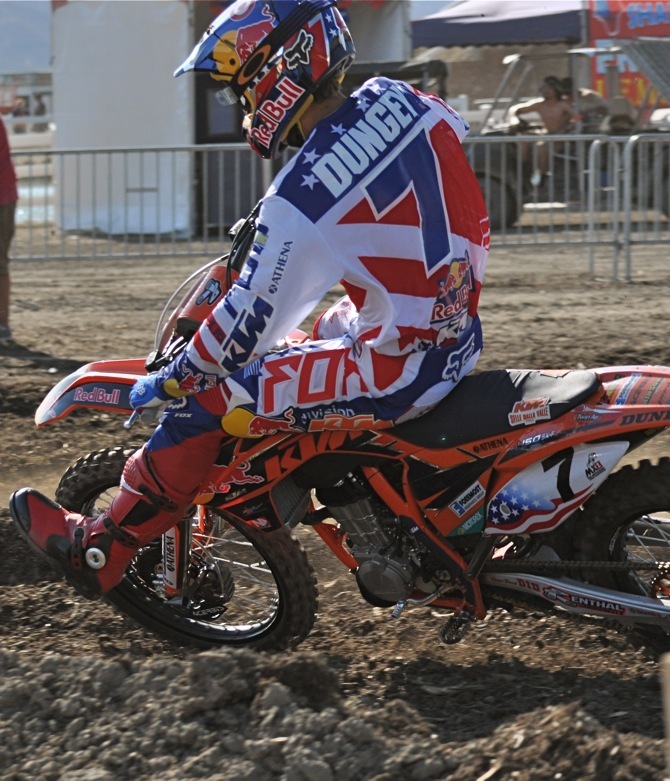 Ryan Dungey has special Team USA Fox gear, which will probably be sold in a limited edition. Dungey can wave goodbye to his ugly Nike boots in the future, because Nike is pulling the plug (and never made any motocross boots for sale anyway). 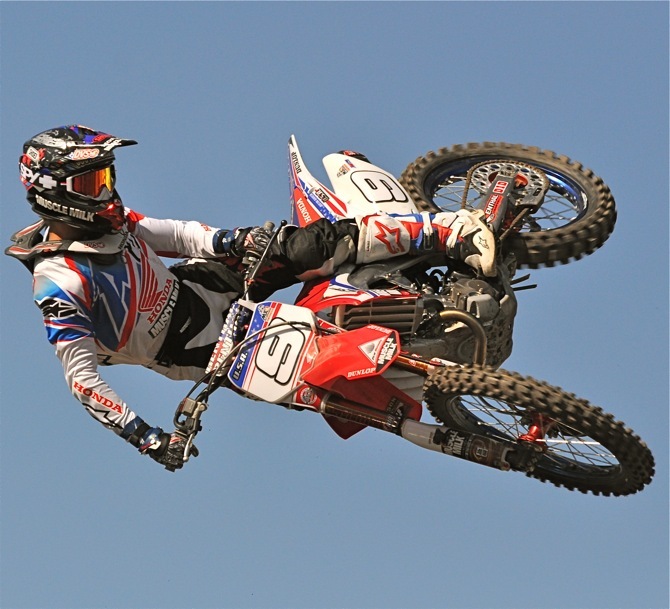 Justin Barcia wears Alpinestars gear, which isn’t readily available in the USA, but his red, white and blue boots are. 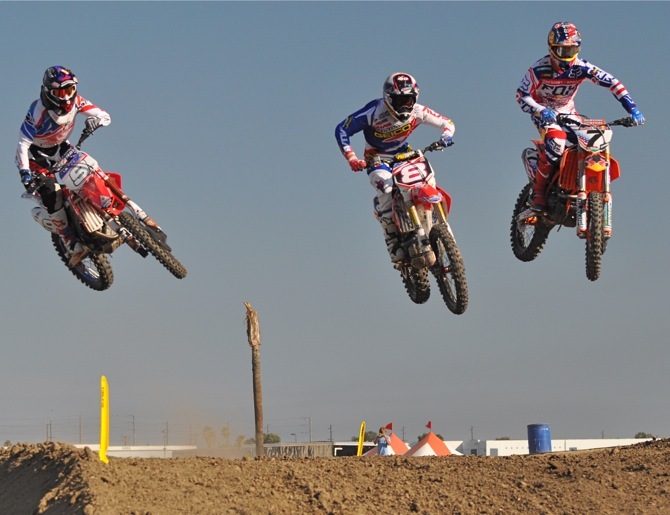 Team USA will be managed by Roger DeCoster, who was a Trophee and Motocross des Nations winner during his racing days.